Flowery medieval village, Yvoire is classified amongst the Most Beautiful Villages in France for the charm of its alleys leading to Léman et its old rocks which invite us to immerse ourselves in History. Yvoire, a very beautiful village flowered by its people. Since the 1950’s, the town was transformed, going bit by bit from a simple fishing and farming village status to the center of tourism in Haute-Savoie. The national price of the flower award was ever since regularly renewed and Yvoire is now classified “4 flowers”. The colorful touches of the ground and terrace flowers were added to the charm of the old rocks. 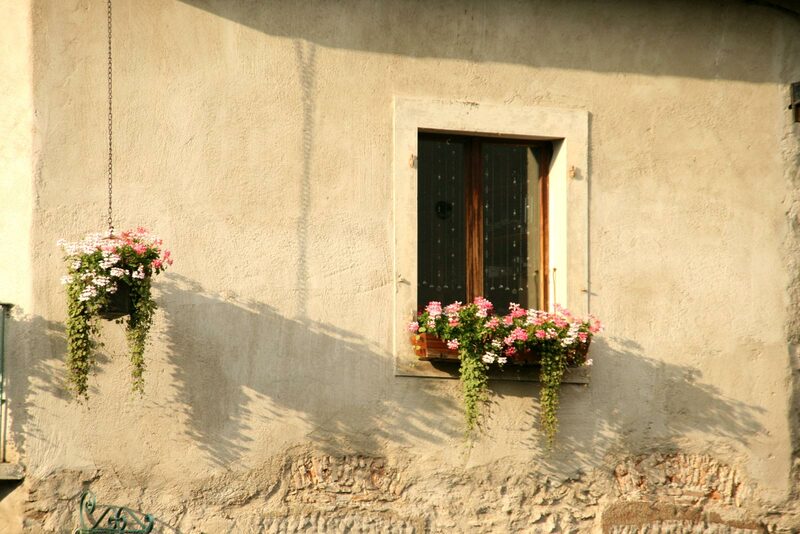 The flowers are the smile of Yvoire, they’re climbing on the roofs, running along the alleys and squares, brightening up the wooden terraces. You’ve taken some flowery pictures of Yvoire? Share them with on the Yvoire Facebook Page or via Instagram with the hashtag #yvoire. 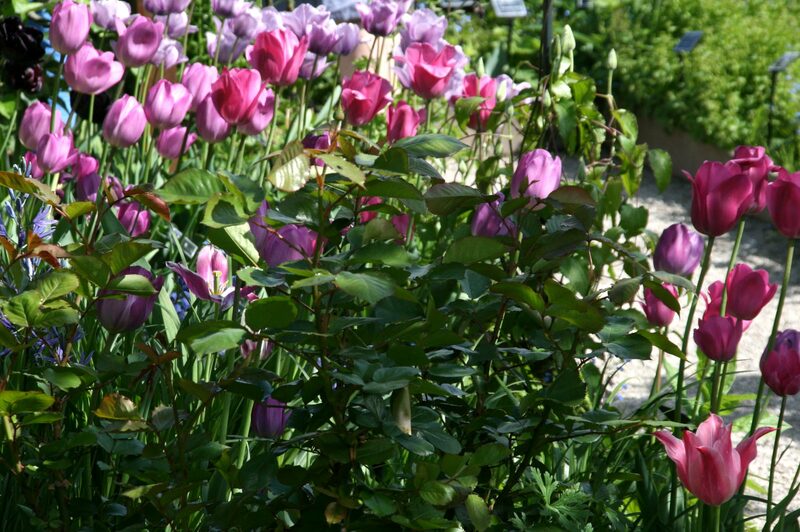 Flowery tulips in the Garden of Five Senses at the center of the village. The sunset caressing the flowers and walls of Yvoire. 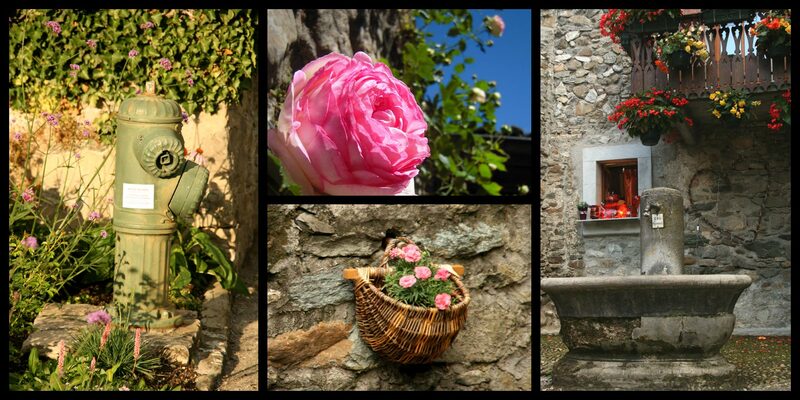 Flowers and decoration on the terraces of Yvoire. 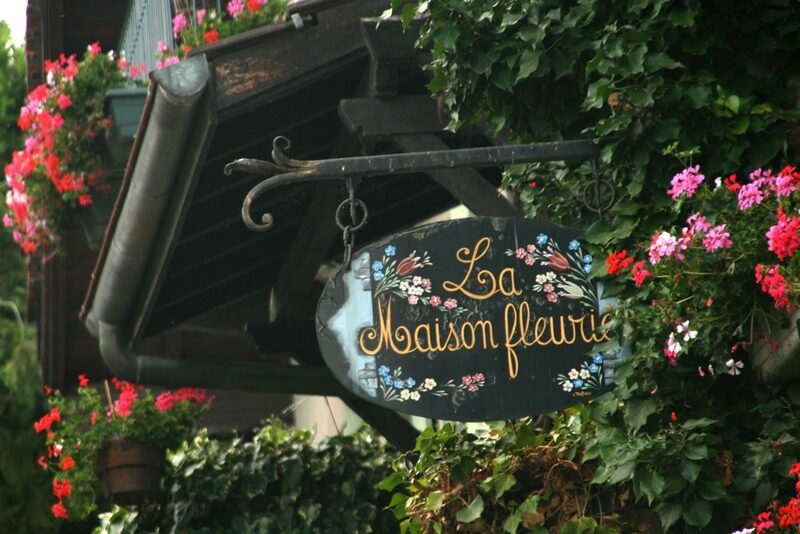 La Maison Fleurie in Yvoire. Flowers are the smile of Yvoire. Since its creation, Yvoire is organized around the main street, linking the fortified gates from east and west as long as three perpendicular streets: rue de l’église, rue des boulangers and rue des jardins which lead down to place du Thay and to the lake. The streets rue de la Liberté and rue du Lac have only been opened through the gardens of Yvoire castle since the 19th century. Cross them in all directions: depending on the hour of the day, the sunshine or the passing of the clouds, Yvoire offers an attractive light and some shadow effects to whomever takes the time to observe the details. 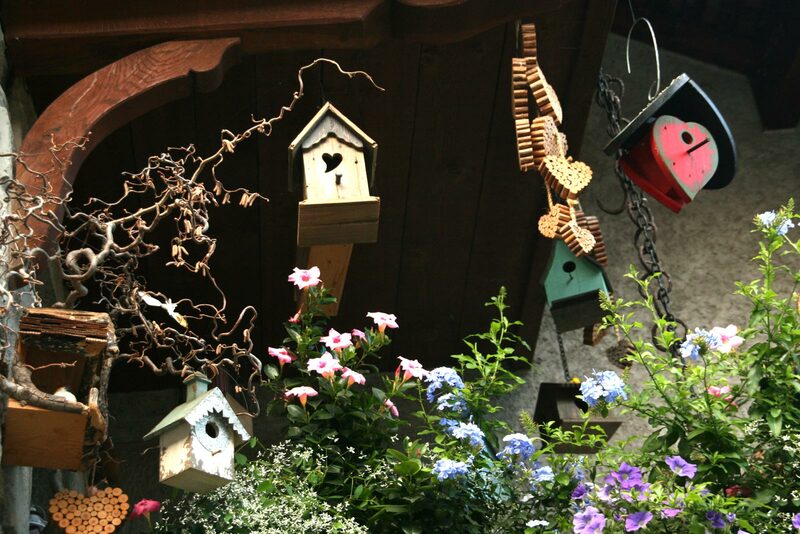 During your walk, enjoy as well the numerous and beautiful decoration, souvenir and art shops. The village is a charming place to discover when you count the hours spent.